The philosophical problem of identity is epitomized by the paradox known as the “Ship of Theseus.” Suppose a ship is rebuilt by removing one plank at a time, and replacing it with a new plank of the same shape and material. Is it still the same ship? Most people would say so. But suppose all the planks that were removed are brought together and used to construct a new ship of identical form. Wouldn’t it be more appropriate to say that is the same ship as the original, and the one with new planks is a duplicate? There is no easy answer. Every possible reply seems to lead into a morass. The Ship of Theseus and several related paradoxes have been tangling philosophers in knots for thousands of years, dating back to the ancient Greeks and continuing with Locke, Hume, Kant, etc. It is easy to get a sense that no real progress has been made: after all the modern philosophers have spoken, the paradoxes seem just as paradoxical as they did to the ancient Greeks. It seems to me, though, that there is a route to a clearer understanding, by looking at identity in a different way: from a cognitive neuroscience rather than philosophical perspective. I propose to examine identity as a mechanism that the brain uses to organize the world of perception. The basic premise is that at a cognitive level, an identity is a label attached by the mind or brain to a portion of the world, usually one that is continuous in space, time, and form. To motivate that premise, it will be useful to briefly examine the way that identity comes into play in modern physics and in computer science. The concept of identity is so deeply built into our thought processes that it is hard to examine. Cognitively we live in a world of things, each of which is a distinct individual object and remains the same over time, as long as it continues to exist. It seems impossible to imagine a world that is not divided into things. However, the world of modern physics is just such a world. In modern physics, objects are merely clusters of matter and energy that cohere for some period of time — they have no deeper reality. In modern physics, even subatomic particles do not have individual identities. It might help to understand this point to consider a hurricane. We think of a hurricane as a distinct entity, but really it is just a temporary arrangement of air and wind. The air that makes up a hurricane on one day has nothing in common with the air that makes it up on the following day. Its edges are indefinite in space, and its birth and death are indefinite in time. As an entity, it is purely dynamic. It shows rough continuity in space, time, and form, but no continuity in substance. In modern physics, there is no level of identity higher than a hurricane. Some arrangements of matter may last much longer, and have borders that seem less arbitrary, but these are really just matters of degree. For a hurricane, it is reasonably easy to see that its identification as a distinct entity is a process performed by our brains. It is not quite so easy to see that the same fact applies to objects such as rocks and bodies, but it is just as true. Once it is accepted that identity is a structure our brains impose upon the world, two basic questions follow immediately. (1) Why do our brains organize the world as an array of individual things? (2) How do our brains do this? That is, what is the neural mechanism for assigning unique identities to parts of the world and tracking them over time? The value of identity might seem intuitively obvious, but it is useful nevertheless to see how it comes into play in computer science, specifically in database programming. A database, to a programmer, is a collection of data organized into “records” and “fields.” A “record” represents the data that comes from one individual entity — perhaps a person, place, website, purchase, data point in a scientific experiment — really any sort of thing. A “field” represents some property of that entity. For example in a database used to hold a record of transactions for a corporation that sells things on the web, each record might represent one specific transaction, and might have fields for the customer name, address, credit card number, item purchased, price paid, date and time of purchase, delivery tracking number, etc. In most databases there is some field that serves as a “unique identifier” — in other words, a field that serves to pinpoint each specific record and distinguish it from all other records. Sometimes unique identifiers are taken from pre-existing information. For example, in a database whose records represent people, it is common to use the social security number as a unique identifier. Everybody (within certain populations) has one, and no two people share the same one. Another frequently used unique identifier is a credit card number: no two people should ever have the same one. In many cases, though, unique identifiers are generated essentially at random. For example in a database of transactions, there might be a field for the “transaction number,” which is obtained by adding 1 to the transaction number for the previous record. The function of unique identifiers is to avoid confusion. If the database is searched using other fields, such as name or date and time of purchase, it is hard to guarantee that the wrong record won’t be retrieved. But any record that has the correct value for the unique identifier is sure to be the correct record. Thus unique identifiers work to keep information in records that are similar in some way from getting mixed up with each other. The only really essential property of a unique identifier is uniqueness. There must never be two records that have the same identifier value. This property is so useful that it justifies using database space to store fields that have no other meaning. A consequence of uniqueness is that identifiers are usually arbitrary and are typically generated by some central authority. If identifiers have information coded into them, or if they can be generated by multiple agents, it is hard — not impossible, but hard — to avoid the possibility of two records ending up with the same identifier. Think about social security numbers: they don’t carry any information about a person (actually they do carry a little bit, but by accident), and don’t serve any purpose except to distinguish a person from everybody else in databases. My premise is that the human brain contains a database consisting of memory-records of clusters of matter (“things”) that are continuous in time, space, and form, and labels these memory records with unique identifiers that we call “identities.” Often we refer to identified entities using names or certain types of descriptions — “John Q. Jones,” “the planet Jupiter,” “my car,” “this house” — but those are not unique identifiers. The unique identifiers are cognitively opaque. Why does the brain do this? Because individual things — continuous clusters of matter — often have properties that remain valid over time, but are not easily discerned. Individual people, for example, have personality features that remain generally valid, but can only be recognized on certain occasions. Labeling things with identities allows their covert features to be tracked across time. Identification — the term I will use for this process — is so deeply built into our cognition that it is hard to think about it clearly. It is hard to think about the world at all without thinking about it as a world of things that remain the same over time. The process of identification obeys two basic rules. The first is continuity. In order to be identified as the same thing, a cluster of matter must change location continuously and change form continuously, without any time gaps. Thus if I make a fist, it remains the same fist as long as I keep my hand clenched, but if I open my hand and then clench it again, it becomes a different fist. This is however a soft rule, and we are open to the possibility of it being violated to some degree, as in the Star Trek Transporter and the Ship of Theseus. The second rule is uniqueness, and this one is inviolable. The rule that an identity can only have one exemplar is so deeply built into our thinking that violations seem almost like logical contradictions. But it is really no more contradictory for two bodies to be the same person — to have the same identity — than it would be for two people to have the same social security number. Why is the uniqueness rule inviolable? Because the way our minds work depends on it. We remember information about things by linking that information to their identities. If two clusters of matter are labeled with the same identity, then it is impossible to keep any distinct properties they might have from becoming confused in our minds. If these premises are accepted, then the explanation of paradoxes such as the Star Trek Transporter and Ship of Theseus is straightforward. They work by setting up scenarios that force us to violate the rule that an identity can only have one exemplar, and we simply can’t do that. Consider the Star Trek Transporter: the scenario is that the Transporter fails to work properly and leaves an exemplar of Kirk on both ends. Which one is the real Kirk? The obvious answer is that they are both the real Kirk, but our minds can’t process that. We can’t think about the two exemplars distinctly unless we assign distinct identities to them. But there is no way to do so without making a decision that seems arbitrary — hence the paradox. If we accept that an identity is a label attached by the brain to a cluster of matter, then we immediately get several questions about brain mechanisms. How are identities generated and stored by the brain? The answer is unclear, perhaps largely because nobody has been thinking in these terms, but surely must involve the inferior temporal lobe (the terminus of the so-called “what” stream). And if Identification is a brain process, which animals other than humans have it? The answer is not clear at all. It seems possible to get highly sophisticated behavior without Identification — by responding only to the directly perceptible features of the environment. It does not seem likely that Identification is ubiquitous throughout the animal kingdom. However, it seems likely that Identification is a necessary precursor for the processes known by the term “Theory of Mind.” It’s hard to see how knowledge and beliefs can be attributed to another animal without first representing that animal as a uniquely identifiable individual. William Skaggs is a neuroscientist and science writer. His specialty is learning and memory, and he has a longstanding interest in the scientific study of consciousness. His twitter handle is @weskaggs, and he maintains a personal web site for his writings. It’s been an interesting discussion. I would have liked to be more involved but time did not permit. I think Richard Wein’s statements in particular have been correct and I would like to add my voice to endorsing the view that we are simply confused if we think there is a fact of the matter on questions such as the transporter problem and that the idea of a “real Kirk” is misguided. There are (at least) two ways to think about the situation, and which one appeals to you is a matter of preference, not really about which one is objectively correct. 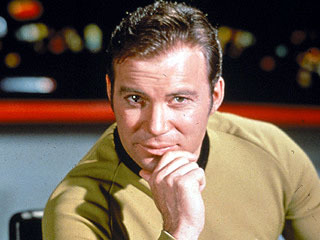 If I were Kirk, would I use the transporter? Perhaps Massimo is right that, from a biological perspective, one organism dies and another is created at a remote location. What is not clear is that the biological perspective is at all helpful. If I choose to identify with the causal network of information processing in my brain (i.e. my mind) rather than a particular aggregation of biological cells, then this causal network continues and indeed has an unbroken causal relationship with my mind before transportation, so it’s hard to see any justification for the view that this network dies. I choose to identify with my mind because it is what I find to be most intuitive. I can imagine radical changes happening to my physical body (losing limbs, having a full-body transplant) and yet I feel I would still be me. I can imagine being instantaneously transported to a remote location and my identity would feel unchanged. I cannot, however, imagine radical changes happening to my mind (severe irreversible amnesia or brain transplant for instance) without feeling that my identity would have been destroyed. Since I identify with my mind, then given a choice between mind uploading and severe irreversible amnesia, I would certainly go for the former (assuming I was confident that it would work and that I would have a good quality of life in the virtual environment). I suspect that Massimo, identifying with his biological self, would prefer amnesia, even if he were convinced that computers could sustain consciousness and that uploading were possible (the identity issue aside). That’s fine, but it seems clear to me that this is just a case of differing preferences and I fail to see how one side can view the other as being mistaken in any objective sense. As the article argues, identities are not something out there in the world but a structure brains impose on it. Different brains may do so differently in different contexts. I think the view I endorse is a solution to the identity problem, but we should not expect solutions to end debate. Sometimes philosophical questions, like mathematical equations, admit of more than one solution. This is just one of them, but the fact that it is not universally endorsed doesn’t mean that it is not a solution at all. It comes as a shock to truly understand that Mr. Skaggs, after all the friendly elucidation, refuses to take the hint, that the psychological, juridical, mathematical, geometrical, logical, programming and casual uses of ‘identity’ are . . . non-identical! That they all will be shoved into a data processing model to be found among neurons is the dream of scientism. I would be interested to learn from Massimo how neurobiology has impinged on philosophy, altho I find it disturbing that he might be wearing Hitler’s sweater. To clarify a bit, when I say that personal identity doesn’t need to be distinguished from other types of identity, what I mean is that the same issues apply to all of them. As long as you have full historical continuity, identity is generally not at issue, either personal or otherwise. When continuity is broken in any respect, identity becomes problematic. There are more ways in which continuity can be broken for a mind than for a rock, because continuity at the computational/cognitive/memory level comes into play. I don’t see that as a hugely important difference. The reasoning that applies when dealing with personal identity is not really any different from the reasoning that applies when dealing with the Ship of Theseus. It always comes down to a case of one type of continuity competing with another type of continuity. Good points. Indeed, there are two different aspects: the identity of physics and the identity of human brain. In physics, it uses at least four tags: skin tag (Sk), spatial tag (Sp), temporal tag (Te) and entropy tag (Et). That is, the yesterday me has a different ID-tag from my ID-tag of today. While the physics-ID-tag must be super precise in order to govern this universe, the identity of an entity for human needs not that kind of preciseness. In fact, a round-about identity (jkubie’s essence) is much more practical for human managing the world affairs. There is no conflict between these two approaches. However, without the precise physics-identity, even the round-about-identity (the base for human consciousness) cannot be attained. In physics, all four tags are equally important (superficially). In human perceived ‘essence’, the skin tag (Sk) is the dominant one while the entropy tag (Et) also plays a major role (while we often not realize this). While a single green moss cell is not visible with the nuke eyes, it becomes visible when it grows into millions. While the Et is not visible in general (except a big accident, car or airplane crashes), it becomes visible over a long period of time. Every atom which is replaced will have a new Et. Every thought (firing some neurons) that I had will have a new Et. Every alphabet which I typed will change not only my Et-tag but the Et-tag of this entire universe. Entropy was originally defined in Thermodynamics. It is in fact the ‘action counts’; that is, it goes only on one direction, the increase. In fact, among the four-physics-identity-tags, the Et is the most important one (the only one that the physics-master will not allow it being messed up; no action is allowed to be miscounted). This is a big subject, and I will not go into details here, but I did give some description of it at (http://selfawarepatterns.com/2014/05/24/nick-lucid-on-entropy/comment-page-1/#comment-4201 ). You are using computer databases as an analogy for determining identity. I agree that what we have learned from computers gives us new insights into the functioning of the brain. Unfortunately I think your example is a little simplistic. We can get better insights from modern object oriented programming. Today we know that the most effective and maintainable programming style is object oriented. It allows high levels of encapsulation and modularisation, features that many (Jerry Fodor and others) think characterises the operation of the brain. An object(in programming parlance) is a module that holds data and methods. It accepts input signals and processes them according to the data and methods held in the object module then producing output signals and possibly updating the object’s internal data. Objects do not necessarily have a unique identifier. They are located when they identify themselves as a close or distant match when presented with fragmentary identifying data. It would seem that all of our knowledge and experience is stored in our brain in such modules that contain not just the data but transmits signals as to how we should respond to the inputs. Imagine I am walking down the street and catch the glimpse of a familiar face ahead of me with a familiar bearing and a familiar gait. My brain has taken fragmentary information, presented it to a fast template matching module and found a reasonable match amongst the people modules in my brain. The people module retrieves salient information and presents it to my conscious mind with certain information and certain emotions 1) recognition(by integrating face, gait and bearing), 2) liking/disgust/fear/love/guilt etc. My conscious mind says, Aha, that is so and so and I am pleased to see her, her birthday is next week, I must return her book and I feel guilty for not replying to her email. This information arrived unbidden in my conscious mind, triggered by the fast image template matching that found the unique module storing her information. So the process of identifying something would seem to be a template matching heuristic, designed more for speed than exactitude but integrates many aspects of information, so improving the accuracy of identification. The module produces a recognition response, a reaction response and historical data. So our process of identifying something is 1) an aha recognition, 2) an emotional reaction that might trigger action(smile, scowl or cross the street) and 3) a set of memories. This is how identity works in everyday life but it fails us in philosophy because we use analytical reasoning that entirely bypasses our neural recognition machinery. This is why we so often say ‘I will know it when I see it’. According to modern Quantum Field Theory, we are made, at the most fundamental level, of fluctuating fields. So, that way, we are continually been deconstructed and rebuilt. The question naturally arises: what is preserved? Well, the mathematical structure. Thus we are all old wooden Greek ships, perpetually falling apart, and rebuilt. To a great extent, this is what happens to species, through reproduction: cells split, and reproduce themselves, thanks to DNA. A morphism is a pair of “objects”. To model that neurologically, we can just identify ‘objects’ to neurons (or other neurological structures), and morphisms to axons (although dendrites, and more, could be included, in a second stage, when the categoretical modelling become more precise). Discussing the mind will involve discussing the most fundamental structures constituting it. Category Theory is the most fundamental theoretical structure we know of, so it is the essence of identity. Well, you are flat out wrong. Aristotle had nothing to do with that failure as some commenters, me included, have explained to you. We don’t know if Aristotle invented the categories, so far we know that he studied them but it isn’t clear if Aristotle invented them or he got it from somebody else. This is an open question. In talking about Aristotle as a person it might be of interest that his connection to the Macedonian court was inherited from his father, physician to Amyntas (the third, i think.) His father-in-law Hermias of Atarneus was reportedly tortured to death for information about Philip’s invasion plans. And of course, his pursuit of favor from Philip and Alexander resulted in the restoration of his native city of Stagira, which had been destroyed and its population dispersed…by Philip. @tienzengong, @Steven Johnson: My speculations about unique identifiers are indeed speculations, I admit it. But the reason for speculating in that direction is to explain the fact that everybody is committed to the idea that you can’t have two things at the same time that are the same thing. Why not? As I wrote in my original post, that’s such a basic principle that it feels almost like a tautology, but actually it isn’t. It needs explaining. Note that even though people are fallible at identification, they are still committed to that principle. I might not be sure whether the person on my left or the person on my right is Joe Smith, but even so I’m quite certain that only one of them can be. @astrodreamer: I’m fully aware that “the psychological, juridical, mathematical, geometrical, logical, programming and casual uses of ‘identity’ are non-identical”. I’m only trying to deal with identity of physical objects — with what makes us call a physical thing the same thing at different times. I thought that would be understood, but let me say it explicitly. @labnut: Objects in OOP systems do always have at least one type of unique identifier: their addresses. In many (perhaps all) systems they also have other unique identifiers that are assigned by the underlying support architecture, although these are not usually directly accessible by a programmer. @Patrice Ayme: Category theory?! See https://en.wikipedia.org/wiki/Abstract_nonsense. Bill, with regard to your comment to labnut just above, it seems to me you are moving the goal posts from your original analogy in the article. Now you are talking about underlying support architecture and the variable addresses it assigns to storage locations. It seems to me this only adds another layer of confusion and is hardly the equivalent of anything “unique.” It is an “ad hoc” arrangement. The fact that the addresses are tracked by the systems architecture does not really speak to the issue of “one of a kind” identifiers but, instead, to relevance. As I’ve suggested, these identifiers are variable, may be overwritten and changed. To me, this suggests that their uniqueness is tautologically defined and inevitably follows them, i.e., their uniqueness is unalterably fixed regardless of the state of brain/mind/computer/network of computers. That’s problematic for me. Similarly, your replies to tienzengong and Steven Johnson cut both ways. If people are committed to a basic principle/rule/model that is tautological and is recognized as “fallible,” then it seems to me you haven’t made much of a case for the model described in the article in terms of “unique” identifiers. The problem is in your usage of unique. We are back to Parmenides and Heraclitus. It seems to me that what I regard as “me” depends entirely on what I feel is “me” and the mechanism by which this happens (whatever interesting facts which will ensue from knowledge of it) will not alter this. If I was informed that I have just been disassembled and reassembled and asked if I am still me, then I would respond that I am, at least, me. And I would recall childhood, family old friends, attitudes and beliefs, including all my contradictions and recall that I used to think of that as “me” and now thing of that as “me” and so I suppose I am still me. If I were duplicated then I should still think of myself as still “me” for the same reasons and so would the duplicate and we would both be right for the same reasons. By the way, my favorite version of the Kirk/Transporter problem is where the mechanism depends upon the original not being destroyed until the transported version is fully assembled. In this case they would get a message from Kirk saying “I arrived safely”, whereupon they would turn to the local version and say “Hold still captain, while we disassemble you”. It would be hard to see how that would be different from shooting him. Certainly if you found yourself as the version which was scheduled for disassembly you would probably find yourself hard done by. Finally – I suppose I should make an important contribution of the debate and paste in some irrelevant quote cut arbitrarily from some science journal and then declare, without any attempt to support my assertion, that professional philosophers refuse to acknowledge it. It seems that in the future when science fully takes up the “torch” from philosophy, that this is how it will be done. Yes, Bill Skaggs. Category Theory used to be called, derogatively, “Abstract Nonsense”. The derisive expression dates from when normal mathematicians could not figure out what Category Theory was about, and what it could do. Now Category Theory is at the forefront of Quantum Computing, QFT, C* Algebra theory, Knot Theory, Non Commutative geometry, and many other fields. It has become an indispensable instrument, for the reasons I gave. Some physicists swim in it, as if it were a hospitable sea. There is zero chance that it will not become dominant in neurology. Well, your “explanation” consists into well known excuses for the inexcusable. You cover new ground, and read my essay on the subject, and will find therein the teachings of Aristotle AGAINST democracy (which he repeatedly called “deviant”). I don’t know what kind of flat that makes you. @ Steven Johnson: Nitpicking history is good. I mentioned Cassander the son (not the brother) in my long essay on the destruction of democracy by Aristotle. The other son would have poisoned Alexander. Now will somebody explain to me how, having Aristotle teach AGAINST democracy, and having the worst dictator as executor of one’s will, one’s own student, and closest buddy, makes one NOT responsible? Antipater was worse than Alexander. Alexander did not subjugate and destroy Athenian democracy. Antipater did, tortured, executed, and stripped of Athenian citizenship all those who had less than 1,800 Drachma property. @ Mario: Dr. Alfred Rosenberg had a decisive role in shaping Nazi philosophy and ideology. The main example quoted at the Nuremberg trial was his book, “Myth of the Twentieth Century”, which was published in 1930, where he incited hatred against “Liberal Imperialism”. Aristotle incited hatred against democracy. His executor established 20 centuries of plutocracy and non-republican regimes. Alfred Rosenberg was hanged on 16 October 1946. Patrice, I guess you won’t be able to respond on this thread, since you used all your five comments. But I’m sure there will be future occasions. You do understand that “democracy” in ancient Athens was more akin to mob rule, and moreover was restricted to a pretty small section of the population, right? I’m not sure I would be a Democract under those conditions, so cut some slack to Aristotle (and Plato), will you? Bill, It’s far from clear that ‘the same issues apply” to all uses of the term ‘identity’. However, regarding the ship of Theseus it is clear that the brain takes the two ships to be the same ship, because they look the same. So you’re saying that if philosophers question whether or not it is the same ship, there is something wrong with their brains? I can’t agree with this. There are serious issues involved in broken continuity, at the level of neurological damage and psychological trauma, to the extent that these issues need to be treated medically and therapeutically. But above the level of abnormal incidents, there is also something I learned from the pragmatist tradition, namely that ideological disruptions and recognition of cognitive dissonance – which some people experience in near traumatic fashion, BTW – can actually be good things; they allow us to see the world, and ourselves, in new ways. They provide opportunity for innovative thought; they allow us to change our minds. I don’t see any need to maintain the notion of a consistence continuous ‘self,’ quite the contrary. But philosophically, I think it necessary to have a strong account of a conscious organism that has a sense of self and that is not only capable of changing its mind, but is jarred into this periodically. The really important Kirk/transporter experiment would be if Kirk B, realizing that there is was a Kirk A (whatever happened to him), would stop to say, “I am not Kirk.” This is the moment that needs to be accounted for. The ship can’t do this, a rock can’t do this. It is not clear that the proper account of this could be reducible to neurobiology. 1. A strong alteration in a person’s timeline. The timeline remains continuous and the continuous self is maintained. Going on holiday to a new country or starting work in a new company are examples. As you said “ they allow us to see the world, and ourselves, in new ways. They provide opportunity for innovative thought“. I agree. 2. A gap in a person’s timeline. Petit Mal is an example of this. This can be an extremely disturbing condition. Short interruptions in consciousness are undetectable as the mind fills in the gaps. Long interruptions are very disturbing. For example, you might be watching a movie and important elements of the plot line are missing from your consciousness. You are not directly aware of the missing segments but the story makes no sense because vital elements are missing. Conversations become less comprehensible, etc. Very disturbing. Reading is OK because you scan back to fill in the gaps. Episodic memories are discrete units like beads on a string. Our memories are strung together by a narrative thread of our own making. The narrative thread provides the sense of continuity. Longer Petit Mal gaps are so disturbing because the mind cannot construct a plausible narrative thread to bridge the gap. We maintain a “notion of a consistence continuous ‘self,’” by constructing a continuous narrative thread that plausibly links our episodic memories. The narrative then becomes part of the episodic memory which helps explain why different people remember the same event differently. Indeed. This is why I drew attention to the object oriented programming metaphor. The modules are not located by their ‘unique’ identifier. What happens instead is that fragmentary information is presented in parallel to a vast number of modules and each module internally looks to see if the information fits its internal template. The module with the closest match announces itself to your conscious mind by producing an emotion called ‘recognition’. It is an entirely different process to the database analogy used by Bill. Bill said “I propose to examine identity as a mechanism that the brain uses to organize the world of perception.“. I suggest instead that ‘identities’ are the units strung together by the narrative thread we construct. We organise the world of perception by constructing a narrative thread that gives meaning to the ‘identities’. This helps to explain why intelligent people can see the world so differently. They are constructing different narratives for the same facts. This happens because narratives are stories, not chains of logical reasoning and narratives are the way our brains intuitively make sense of things. Someone asked what philosophical problems might be solved by a neuroscientific understanding of objecthood and identity over time. One suggestion: the problem of reference in the philosophy of language. At the end of A Puzzle about Belief Kripke finds himself at an impasse. He allows himself no intermediary between word and object and is left defending, in my view, an untenable direct reference theory. But perhaps ideas have moved on since 1980. Since Halloween is coming, I thought of Frankenstein’s monster. Since there was only one brain used in making the monster, the monster’s identity supposedly would be defined by whoever’s brain that was used. But Frankenstein could have used more than one brain, and the monster could then be seen to have multiple, partial identities. Identity is a matter of definition. Patrice Ayme, Antipater’s role as executor would have been justified by his rule over Macedon and Greece, which gave him the power to enforce Aristotle’s testament, a matter of civic importance for Stagira I believe. I do not believe the wikipedia can possibly be correct regarding Antipater personally being a student inasmuch as Antipater was some years older than Aristotle. Certainly Aristotle did not travel to Athens as an adult to be taught by a man younger than himself. When Aristotle taught in Macedon, Antipater was active in government and army, not a student. As for being regent? The agreed regent for Alexander’s children was Perdiccas. After Perdiccas’ murder it is true that Antipater declared himself regent but it’s hard to know whether anyone other than his allies took that seriously. But it seems doubtful. SciSal, Patrice Ayme is quite right that Athenian democracy was terminated by Antipater. (By the way, assertions that democracy in Athens was, mysteriously, vanishing have no merit.) As for giving Plato and Aristotle some “slack,” I do think that as to judgments on personal motivations should be based on a full consideration of all the facts, which includes trying to imagine how we might feel were we ourselves present. But overall, given the centuries of adulation, I don’t think a little irreverence is out of bounds. In particular, there is no reason to avoid drawing conclusions about their common enmity to democracy, or Aristotle’s support for monarchy. Alexander’s arete was imperial conquest. Didn’t Aristotle exalt the active life in pursuit of one’s excellence? Every indication is that Alexander consciously modeled virtue, whether sincerely or not. I feel compelled to point out that “a pretty small section of the population” is not enough for a respectable mob, or really even something “akin” to a mob. No mob, no mob rule. The anti-democratic thinkers may be revered but their opinions should be critically examined. steven, I said in the past very clearly that I’m perfectly fine criticizing the ancients when the need be. I just feel like Patrice is out on a crusade that has relatively little correspondence with the culture of the time and the historical facts. As for the mob thing, a simple majority of a relatively small group is still a “mob” in the sense relevant here. And had I been present at the time, I might actually have had some sympathies for Plato’s distrust of a democracy that had led to the ruin of the Athenian polis and to the murder of his mentor. EJ Winner gets at this a bit more. I’m fully aware that “the psychological, juridical, mathematical, geometrical, logical, programming and casual uses of ‘identity’ are non-identical”. I’m only trying to deal with identity of physical objects -” If this were the case, why bring in the issue of personal identity at all? Can’t say it better myself, other than putting Ryle’s label on this. That’s why I wasn’t 100 percent cracking wise on noting that the Ship of Theseus doesn’t have consciousness unless you’re a Jain, Per the “personal identity” half of the category mistake, whose definition of “personal identity” is Bill using? Others? Robin, on my essay, in talking about selfhood, suggested starting with pain. However, a Jain, depending on exactly how he or she defines touch as a sense, might claim that ship feels pain as part of touch. This in turn relates to something else in EJ’s last comment. If there’s a discontinuity in the “stream of thought” or whatever, and it’s severe enough, is it really the same self later on? “Saul” became “Paul” after Damascus Road, after all. The change of name argues for him not thinking he was the same self. On the other hand, “who” made that decision that “I” am not the same “I” that I was before? Per the likes of Doug Hofstadter, we’re in the land of tangled loops. All strong food for thought — and all about personal identity, and not about ships of legendary Greeks. Massimo … I can at least halfway agree on the “mob rule” assessment of ancient Athens. Of course, with Alcibiades et al, that was part of how democracy was twice overthrown, was it not? The Star Trek transporter paradox can be solved if we give up the concept of identity of a person and replace it with a concept of continuation. A later stage of a person is not identical to an earlier one, but a continuation of it, which is not a symmetrical relationship. If Kirk is split in two, they are both continuations of the Kirk before the accident, although they are neither continuations of each other nor identical to each other, but clearly two separate people. Since we’re approaching closure, I’d like to make a couple of final remarks. I’d like to thank Massimo for running this and keeping on top of all the comments. I’d also like to thank all the people who commented — there’s lots of food for thought here. I don’t quite understand how the thread on Aristotle’s politics is relevant to the topic, but with that exception, pretty much everything else seems on point and worth thinking about. I have placed a copy of my post on my personal web site, at http://weskaggs.net/?p=5112. If anybody would like to continue discussing it, please feel free to comment there.